Remove stem and outer leaves from the red cabbage. Roughly cut and grate it into a large bowl. 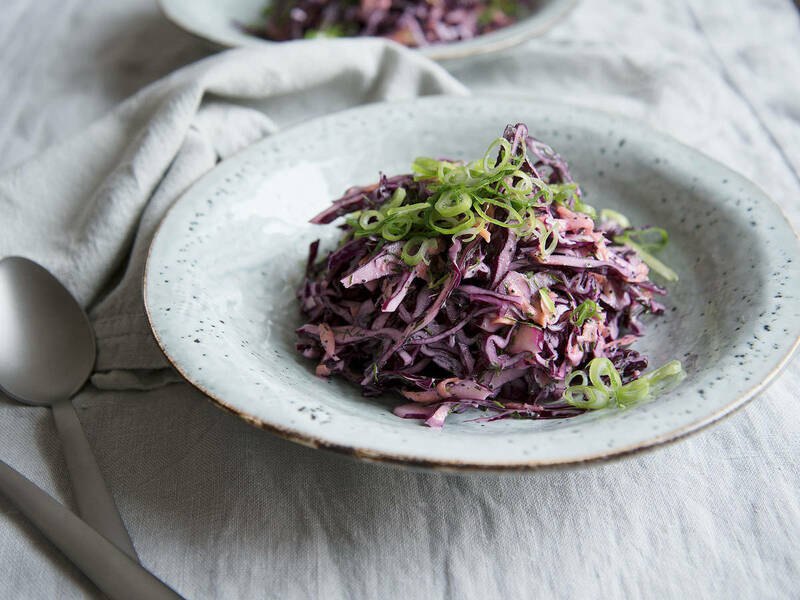 Wash and grate carrots, then add them to the red cabbage. Peel orange, fillet the segments, and transfer the orange wedges to the cabbage-carrot mixture. For the dressing, mix yogurt, mayonnaise, and oil well. Finely chop dill and add it to the dressing, together with poppy seeds. Season to taste with maple syrup, lemon juice, salt, and pepper. Pour dressing over the salad, stir to combine, and let set for approx. 30 min. Enjoy!